It has been a long time since I’ve written a post like this, where I just share about my life and part of my heart! Blogging has changed and I have learned to change with it, but this is how it used to be. You just started writing and sharing. Life made a sudden change at the beginning of June. I moved on from a job that I had for 8 years, it wasn’t a happy good luck kind of move. But it turned out to be a blessing. I just kept reminding myself God has my life in His hands and He knows better than me. So now I’m a stay at home mom, but I still needed to bring in some money. Blogging brings in a few dollars here and there, but hopefully with more focus it can bring in more. Especially with a new endeavor on it’s way, I hope to soon have a recipe book available to you to purchase! I was already working with a developer on a great little project helping develop and promote an app for bloggers, so I had a job I could look at bringing a consistent income with. Just this last couple weeks I have started working even more with them and I just got the title “Vice President, Public Relations”! The first week without working I also put out a call to friends letting them know I was in search for a job. I found many friends looking for positions for me – I have to say I love my bloggy/online friends they are so wonderful. I quickly picked up a job doing something new and fun, I am now doing PR for a company. I have worked with PR agencies and individuals as a blogger, but now I get to see what it’s like to be them. I am loving it! You probably have noticed Pepper Scraps being a bit quieter and I’m sure you can see why with all that has happened in the last couple weeks. But part of that is just learning a new routine and spending some great time with my boys. I’m settling into having as much time with them as I could want. I have sat out front enjoying the sun and watching them play. We have been having mid afternoon popcorn and cartoon dates. I have also created some great fun items for us to work on learning this summer. 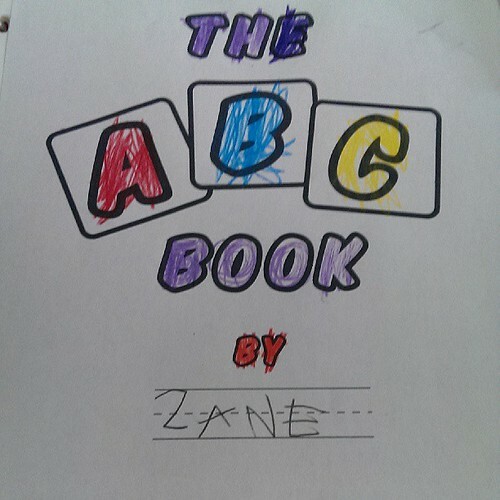 Zane is working on his writing and reading this summer to catch up a little to where he was supposed to be by the end of school. But then I didn’t have time with him to work with him while I was working. And now I have made games, print outs, and fun projects for us to work on to show him that learning can be fun! Oh and Zarek will be working on his letters this summer. This week is also extra special because I am going to be going to a conference! I will be attending FitBloggin which is right here in Portland! I was actually already scheduled to go before the great change. But now I’m even more excited because I am completely free to enjoy it with no worry about scheduling work or working through the week right up to the conference. I’m excited to get a chance to meet hundreds of great bloggers that are focused on health and fitness! So far I have connected with sooo many amazing people just before the conference that I can’t even wait till Thursday to get to see them in person. I will be live blogging the yoga session! This will be my first ever fitness class, my first yoga class and my first live blogging attempt! I’m so excited! Make sure you are connected with me on Instagram and Twitter because I will be sharing some amazing stuff I’m sure!! 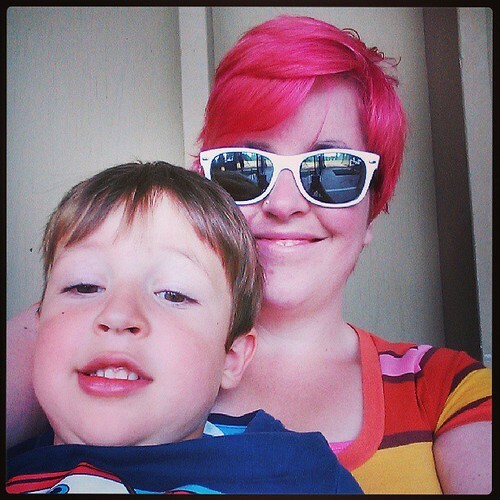 What’s up with the Pink Hair? Okay now to the one thing you may notice that is really different in my photos my hair! I didn’t lose a dare I promise! I actually have wanted to do this for years! But I was never aloud to do anything crazy and wild with my office job! 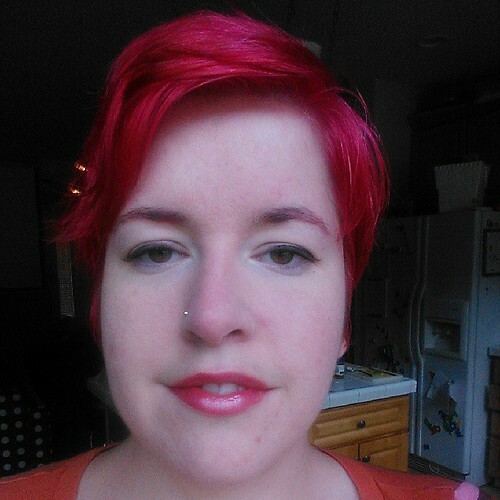 Well now I am the girl named Pepper with the Pink Hair – and you know I have found that people really remember me from online with this fun look! hello there! , I enjoy the composing very considerably! talk about all of us be in contact extra roughly your posting upon Yahoo? I personally demand a specialist for this method to address our trouble. Could be that is anyone! Looking in front to see people.